A unique practical online event focusing on deepening meditation practice via the body-mind relationship. 16 experienced teachers from different traditions, 20 hours of live learning including Q&A. October 10-16th – all sessions will be recorded if you can’t attend them and listen to them anytime. A practical online meditation event from unique embodied perspectives. Facilitators, embodiment practitioners, coach or trainers you will learn methods to enrich your professional practice for working with clients: teaching meditation, centring, focused body-mind based inquiries, and embodied yoga principles as a coaching method. Intermediate/experience people there is a wealth of experienced teachers speaking directly to you to deepen your practice focusing on the body-mind relationship from different perspectives and traditions. 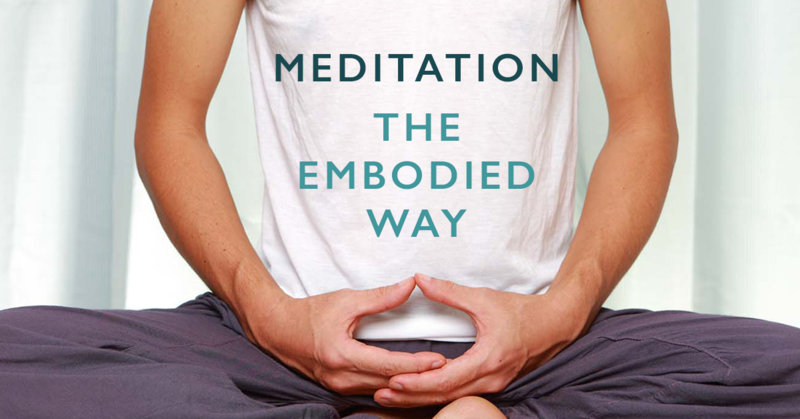 Beginners you will receive daily guidance to create an embodied meditation practice – mindfulness, loving kindness and mindful movement practices beyond any regular mindfulness course. An amazing line-up of teachers each with their own wealth of experience to share: Miles Kessler, Paul Linden, Neil McKinlay, Kaira Jewel Lingo, Jayaraja, Adam Barley, Dylan Newcomb, Jessica Graham, Andy Paice, Viktor Shiryaev, Jane Dancey, Jude Murray, Karin Van Maanen, Mark Walsh and Vidyadasa. trying to book meditation event , can i only do it via paypal.